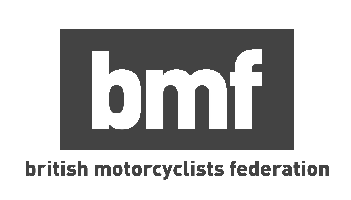 If you’re looking to get yourself some motorcycle or scooter training and to take your CBT test, then we currently have a couple of CBT test centres in and around the area of Solihull. Or there are several more CBT training centres within a few miles and towards Birmingham or even Walsall that will all be able to help you get on the road with the highest standard of motorcycle training. And they are all specialists in training and can take you all the way from your first day riding, through to gaining your CBT and then maybe even passing your full motorcycle licence test. Once you’ve understood the theory, you’ll head outside onto the school’s purpose built off-road training area, where you will perform basic manoeuvres on your motorbike or scooter. There’s need to worry about not owning your own motorcycle or scooter for your CBT, the school in Solihull, Birmingham or Walsall will provide you with one you can use. If you choose to book your CBT training in Solihull on an automatic machine, such as a scooter or a moped, then you won’t be limited to just automatic machines once you head out onto the road on your own - which means that you’ll be able to ride a geared motorcycle should you wish to change your style of bike later on. What does a Motorcycle or CBT cost? For a successful CBT training session in Solihull, you can expect your CBT cost to be around the £110 - £140 mark. But once the day-long session is over you will be able to hit the local Solihull roads with a fresh set of L-Plates and the confidence and ability needed for safe, road riding.